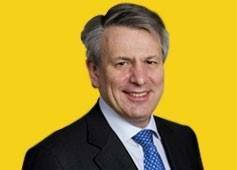 Speaking to investors, new Shell CEO Ben van Beurden updated on the company’s priorities: improving Shell’s financial results and achieving better capital efficiency, as well as continuing to strengthen operational performance and project delivery. Van Beurden, who became the new CEO of Royal Dutch Shell plc on January 1, 2014, said Shell’s strategy overall is sound. The company has a high quality portfolio and key strengths in technology and project delivery. Shell will continue to invest in new projects that deliver more energy to customers, and create value for shareholders. The strategy is designed to deliver through-cycle growth in cash flow, to drive competitive returns and a growing dividend. Shell credits innovative large-scale projects such as Pearl gas-to-liquids as the main drivers behind its recent increase in cash flow, which reached over $87 billion in 2012-13 combined, an increase of 35% on 2010-11. Recent start-ups and Shell’s latest projects and acquisitions – dominated by liquefied natural gas, and deep-water oil in the Gulf of Mexico, Brazil and Malaysia – are expected to build on this growth in 2014. 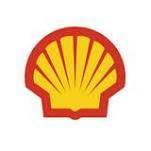 Shell has distributed more than $11 billion to shareholders in dividends and repurchased $5 billion of shares in 2013. Reflecting confidence in the potential for free cash flow growth in 2014, the company is expecting the Q1 2014 dividend to be $0.47/share, an increase of over 4% compared to Q1 2013, and total dividends announced in respect of 2014 to be potentially over $11 billion.